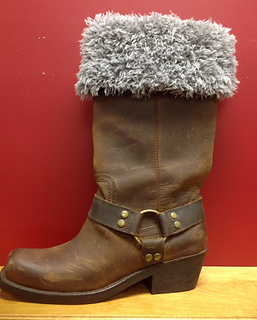 Be warm AND stylish this season with these two boot topper choices. This is a two for one pattern offer. 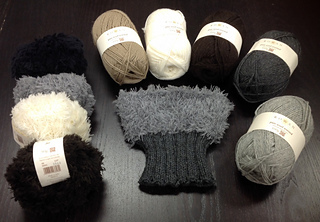 Knit both versions and get a jump on those gifts! 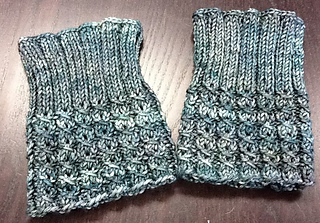 Malabrigo Rios was used in Rox’s Mock Cable Boot Toppers pattern. 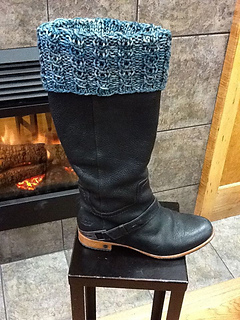 These boot toppers are knit loosely, to be worn over your pants near the top of a tall boot and then folded over…If you have small short boots, this version can be worn on the outside of your boots over your pants as well. Any worsted weight yarn will work with this pattern. 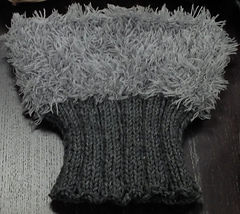 Size 8, 16” circular needles were used in both projects. if you know you are a loose knitter however, you may want to use a needle one size smaller.